In this series of posts, “How do I choose?”, we will help you take a little of the guesswork out of selecting the best print finish product for your print shop or office. It’s sometimes difficult to find the right machine to fit your needs when there are so many models. It all has to come together sometime. All those pages in the presentation, the employee manual, the book, the instructional guide, the schematics… They’ve all got to have some sort of binding to meet the customers budget, the readers needs and a style that looks good. But, what kind of binding machine do you need? Well, the answer to this one is a little trickier. You may even want more than one machine. 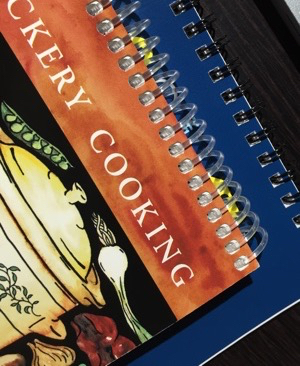 First you need to determine the type of binding that you think you’ll use most often. Comb binders – cheap, effective. Plus, combs can be opened to add/subtract sheets. Coil/Wire binders – Comes in a variety of colors and materials. Allows the reader to lay the book open flat and turn pages a full 360-degrees. Unibind binding machine – Quick, slick and permanent. A steel spine at the back of the cover allows the paper edges to sink into a heated resin. Perfect bound machines – Most paperback books at your local retailer are bound with this method. It’s glue-based and leaves a nice sturdy spine. Once you’ve chosen a couple binding methods that you’d like to offer at your shop, consider flexibility, speed and cost. You’ll certainly find flexibility with a combo system. A single purchase will allow you to do both comb, wire or coil (depending on the machine). However, keep size in mind. 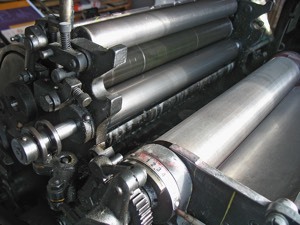 With comb or coil systems, you may not want to limit yourself to standard 8 1/2″ x 11″, so investigate the machines that can accommodate 14″ or 17″ sheets. Speed is affected by manual or automatic operation and the number of sheets that can be punched at one time. The most crucial consideration however, is the question of cost. What you can sell and what your customers are willing to pay for may limit your choices. A perfect binding system is expensive initially, but costs little in upkeep. The Unibind thermal system itself is inexpensive considering the nice end product, but supplies are comparitatvily high, per piece. So, remember not to merely look at the machinery that makes the binding happen. Look at the plastics and metals that make up the binding. Previous Post:How Do I Choose the Right Bursting Machine for My Print Shop? Next Post:How Do I Choose the Right Business Card Slitter for My Print Shop?